The iconic design is a top trend that will catch everyone's eyes. Material: waterproof 600D polyester; Inside contains a nylon lining. Exterior Features: front zip pocket, water bottle pockets, full support back panel and padded shoulder straps. Interior Features: laptop sleeves, organizer pocket, large compartment. 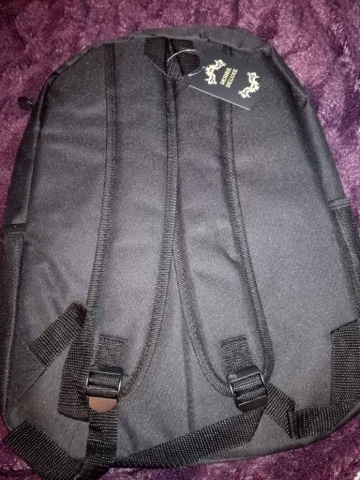 Large capacity can hold up to a 14in laptop, suitable for school, weekend out, traveling, or casual daily use.Size: 41cm*14cm*28cm(16.14"x5.51"x11.02"). Material: Canvas + Nylon Lined. Smiling Face Expression; Openclose type: Zipper. 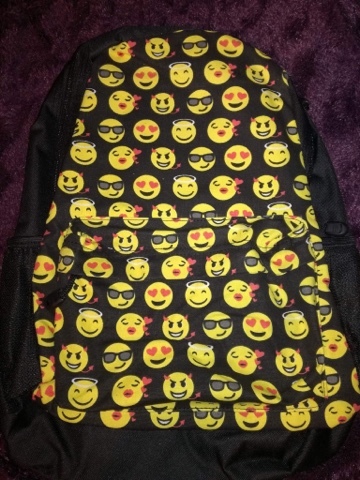 The emoji backpack is perfect for children and teenagers to use for school. It will easily hold all of their books, pencil cases and other equipment. 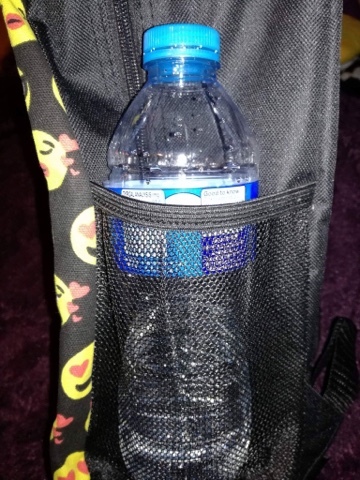 There are also several useful pockets to hold bottles of water, umbrellas etc. It really will fit everything in it that they need. It is comfortable to wear, even when full of stuff. The straps are wide and very padded so they don't dig painfully into your shoulders. The straps are also adjustable, so it should be a good fit for everyone. I love the emoji design, it's great fun and youngsters are sure to appreciate it as emojis seem to be very popular at the moment. The yellow faces really pop against the black background, it's a very eye catching design. The zips and seams of this backpack are well constructed and feel like they will last a long time. It's a good quality bag, both myself and my daughter are very happy with it. Five stars.